Cherry Pie Kush is a masterful combination of three powerhouse parents. OG Kush, Urkle and Durban Poison are combined to create a delightful cannabis strain. It has great resin production, bright orange hairs and hues of purple. The sweet cherry aroma it possesses is comprised of a peppery grape and sour lemon layer. The smoke produced by Cherry Pie Kush is both smooth and creamy. Users describe Cherry Pie Kush as a creeper that keeps on creeping. 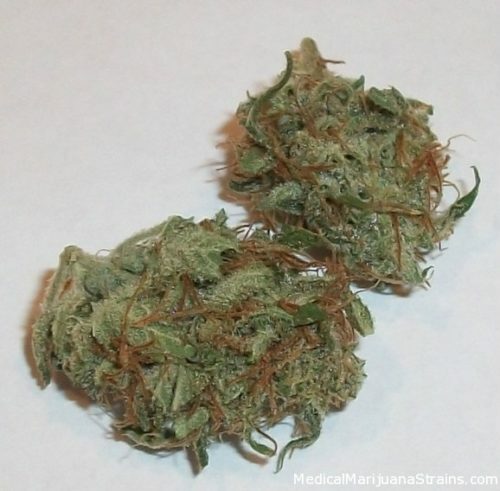 Cherry Pie Kush is a sativa dominant hybrid and makes you feel energetic, cheerful and alert.